The Carriere Distalizer has a unique design and makes the appliance hardly noticeable in the patient’s mouth. It can avoid the bulky feeling from alternative solutions such as headgear or facemask. 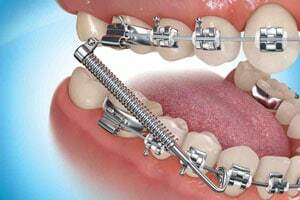 The appliance is placed before braces are put into place for faster movement of teeth and less time in braces. The elastics or rubber bands are worn at the beginning of treatment when you are excited to start your orthodontic treatment. 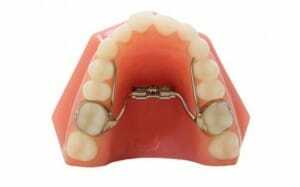 The Carriere Distalizer can be used as a Class II correction appliance or a class III correction appliance. In the past, patients with Class II malocclusions have had to endure the use of the bulky headgear to correct their overbites. But with the invention of Forsus Springs, teen patients can say goodbye to the annoying headgear and be on the path to a better smile in a more convenient way. 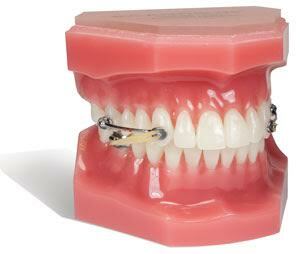 The Forsus Springs are also a great alternative when patients can’t wear elastics or rubber bands. An RPE can be indicated in orthodontic treatment to create space in the jaw for permanent teeth to come in, change the growth pattern of the jaw and eliminate a posterior crossbite. 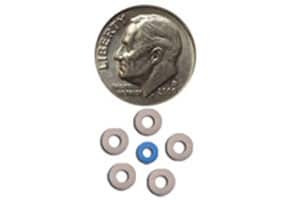 A crossbite corrector for the upper jaw puts gentle pressure on upper molars each time an adjustment is made to favorably adjust a patient’s bite. When we achieve the desired correction, you will wear the appliance for several months to solidify the change and to prevent relapse. An elastic or rubber band is a small rubber band that the orthodontist will tell you to attach to your braces in a certain configuration, depending on how your orthodontist wants your teeth to move. 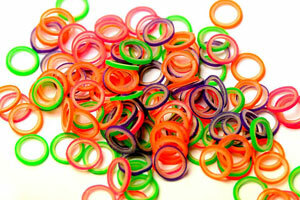 Wearing elastics improves the fit of your upper and lower teeth. Wear rubber bands as instructed, and remember that the rubber bands work far more efficiently if they’re worn as prescribed. Inadequate wear of rubber bands can increase treatment time and cause less than desirable results. Separators or spacers are little rubber doughnuts that may be placed between your teeth to push them slightly apart so that orthodontic metal bands or rings may be placed during your next appointment. Once the spacers are in place, they feel as though a piece of food is caught between your teeth. The separators will be removed before we place the bands. Separators do not mix well with sticky foods, toothpicks, or floss. Often referred to as “colors”. The role of the O-ring is to hold the archwire firmly into the slots on the brackets, they may be colored or clear. Elastic chain or “power chain” is sometimes used instead of the O-rings and it is also colored or clear. The chain is lightly stretched and can be fixed to each bracket or just some, to provide a gentle tooth-moving force usually to close space.